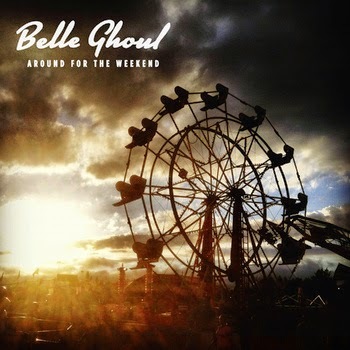 BELLE GHOUL are an unpredictable, unimaginable group, resulting from the uncontainable talents of the two main members, Christopher Tait (among many other things, keyboardist of ELECTRIC SIX) and Jesse Smith (Patti Smith’s daughter). With such big names, the mix is unpredictable, and in this case, serves to whet our appetites for their imminent 10” vinyl mini-LP, “Rabbit’s Moon & Doomsday” with this advance digital single. The single includes a remix and a previously unreleased song that lets the group’s electronic background - something they haven’t shown so openly so far - run wild. But the main song, included in the upcoming mini-LP, is a perfect example of soul and pop, with the lyrical forms of Sam Cooke and the musical influences of THROWING MUSES and XTC. The result is one their most significant hits to date. And as for the remix, DUBAI BROS (another of Christopher’s projects) are in charge and they put an important twist on “Lakes Of Fire”. It’s an unimaginable leap forward for the group’s sound, darker and more danceable, with echoes of KRAFTWERK and LIQUID LIQUID. Then there’s “Devoir (Imaginary Theme)”, which is a landscapey, instrumental song where the keyboard pads make room for evocation in a new unusual and unexpected example of the group’s abilities. It’s just a taste of what’s to come from what is probably going to be one of the most important releases in BELLE GHOUL’s career, which, given the evidence, still has so much more to give us. Savour it all as it comes.